Ada Mae (Goodenough) Holder, 101, of Coshocton passed away at Coshocton County Regional Medical Center on Monday November 26, 2018 after a brief illness. Ada was born in Midfield, TX on August 28, 1917 to the late Harold S. and Irva (Griffith) Goodenough. On April 14, 1942, Ada entered the US Army as a Nurse and served during WWII for four years until June 11, 1946. She then attended two years of college and went on to a three year nursing college. Ada was a Registered Nurse in the OB department at Coshocton County Regional Medical Center retiring on January 1, 1980. She also was a member of Grace United Methodist Church, enjoyed needlepoint, crocheting, reading and spending time with her family and friends. Ada is survived by her children Irva Joyce (Tom) Nelson of Coshocton, Janice E. Clark of Las Vegas, NV and Clyde A. Holder of Baltic, OH; three grandchildren; six great grandchildren; several nieces and nephews.. 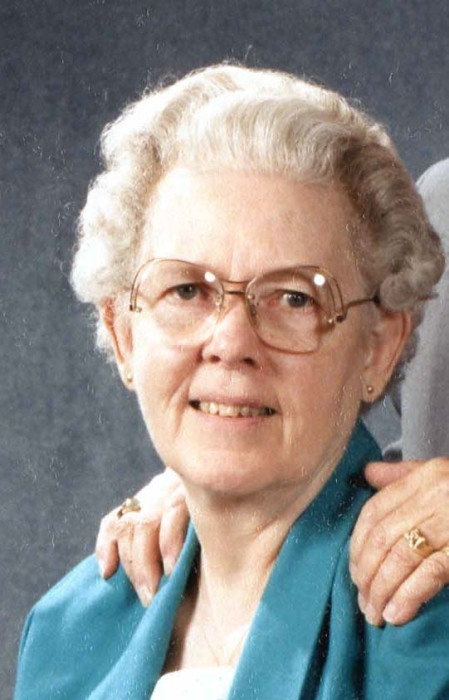 Along with her parents, she is preceded in death by her husband Clyde F. Holder whom she married on January 23, 1943; Clyde passed away on March 4, 2002; brother in law Glenn W. Holder; sisters in law Phyllis Courtright, Mary Hilton and Margaret Udder. A graveside funeral service for Ada will be held in Coshocton County Memorial Gardens on Friday November 30, 2018 at 11:00 AM with Pastor Judy Elliott officiating, Coshocton County Veterans Honor Guard will also be performing military honors. Memorial contributions may be directed to Interim Hospice of Coshocton, 499 S. 2nd St., Coshocton, Ohio 43812.